In this episode, I sat down with Dalia Barsoum, Canada’s top real estate financing expert, speaker and author. She revealed helpful strategies when you go for your first home or rental property purchase. 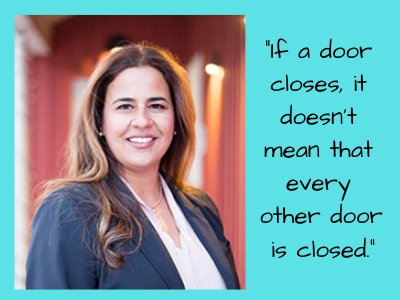 We started our conversation with Dalia recounting the days on how she and her husband discover real estate investing. She and her husband originally spent in stocks and learned the hard way when they saw their portfolio declined. With that, they both decided to invest in an asset like real estate where they have full control. Dalia went over some tips and tricks that you as first-time investors should know. She has a long list of what you need to prepare before building your portfolio. Every deal is unique according to Dalia, and you owe it to yourself to listen to this episode to know how to craft it for yourself. Tune in to gain insights on how to start your investing journey, economic tips for business owners, and how to have a proper mindset to grow your financial portfolio. If a door closes, it doesn’t mean that every other door is closed. It means that you just go and knock on someone else’s door, but ideally you want to know where to knock. Working with one lender means that you are bound by their view of the world. You’re bound by the rules. If they say no, it doesn’t mean that all doors are closed. Every deal is unique and sometimes you have to digest the different scenarios and understand the implications of some decisions you’re going to make today on your future deals.